WRC RALLY SCHOOL: Are you sure you have what it takes to be a rally champion? Complete the challenges of the WRC Rally School to learn how to master the most important rally techniques! HOT SEAT: Play with your friends racing one after the other! 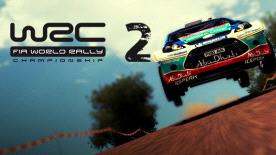 Available game modes: Single Stage, Single Rally and Championship. URBAN STAGES: have you ever seen a WRC car darting on the streets of famous cities like Berlin?? ?